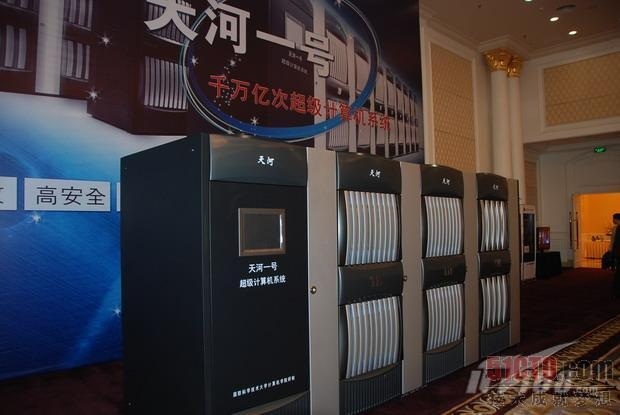 TIANJIN, May 27 (Xinhua) -- A super computer that runs at more than one quadrillion calculations per second in practical use has been developed in Tianjin, making it the fastest one in China, the developing company said Thursday. The supercomputer, named Xingyun, doubles the speed of "Tianhe-1," previously the fastest one in China developed by the National University of Defense Technology last October, said Li Jun, president of the Dawning Information Industry Co. Ltd.
"Its peak performance reaches nearly three quadrillion calculations per second, three times of the peak speed of Tianhe-1," Li said. Xingyun is the server part of "Dawning 6000," jointly developed by the company, Chinese Academy of Sciences Calculation Institution, and the South China Supercomputing Center, which aims to meet the application demand of "cloud computing," or more specifically scientific computing, intelligent Internet searching and DNA sequencing. By the end of this year, "Dawning 6000" will be delivered to National Supercomputing Center in Shenzhen of south China's Guangdong Province for computing and information services in southern China, including Hong Kong and Macao. The Beijing-based Dawning Information Industry Co., Ltd., founded in 1995, is a leading company in the field of high-performance computers.